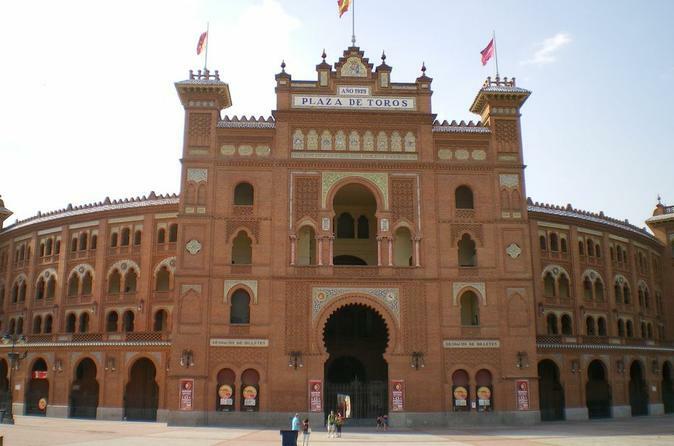 Head inside Madrid’s Las Ventas Bullring with an entrance ticket, and explore one of the world’s most famous arenas while listening to an audio-guided tour. The ticket includes access to all the key sites around the stadium, from the alleyways behind the ring to the seats where audiences cheer. Pose for photos next to the Door of Madrid (Puerte Grande), an exit reserved for victorious bullfighters, and admire the building’s different architectural styles. Then explore the Bullfighting Museum of Madrid on your own, located at the “Patio de Caballos” in an emblematic section of the building and it includes a collection depicting the history of bullfighting in Spain. Continue on your own to the Bullfighting Museum of Madrid and see works such as engravings from the tauromachy of Goya, bullfighters dresses from the twentieth century, a section devoted exclusively to Manolete and a large testimonial sample of the birth of the historic Las Ventas bullring. You ticket allows you to spend as long as you like in the stadium or museum. Any food or drinks from the on-site café are at your own expense.